While molecular imaging is not exactly a new technology (TIME Magazine named PET-CT as the medical invention of the year back in 2000), recent developments in radio-pharmacy have positioned the field at the forefront of innovations in cancer imaging and, tantalisingly, novel therapeutic approaches to cancer treatment. Urologists have typically been forward thinking and innovative, and have been quick to acknowledge the value of molecular imaging as a tool to enhance the accuracy of the diagnostic process and improve patient outcomes. The recent development of radiotracers directed against prostate-specific-membrane-antigen (PSMA) has taken things to a new level; there is now a solid body of evidence for the performance of 68Ga-PSMA PET/CT in primary and secondary staging, with an ability to accurately detect small volume disease at far lower serum PSA levels – the use of 68Ga-PSMA PET/CT as a diagnostic adjunct is becoming increasingly mainstream in continental Europe and Australia. It is in this context that, on 22 November 2018, the Nuffield Department of Surgical Sciences in Oxford hosted a symposium at the Old Road Campus Research Building focused on the utility of PSMA-related technologies. The symposium attracted an impressive array of attendees from across the UK, Europe and Australia. The symposium was opened with comments by Professor Freddie Hamdy of Oxford, who welcomed all attendees and speakers, some of whom who had travelled more than 10,000 miles to attend the gathering. The first speaker, Professor Declan Murphy, from Melbourne’s Peter MacCallum Cancer Centre, shared comprehensive data and experience from Victoria in Australia, where access to 68Ga-PSMA PET/CT is seemingly unrestricted. Professor Murphy delivered a fascinating talk, expounding the gamut of PSMA PET applications in prostate cancer, from primary staging (promising data), to biochemical recurrence (there is definite evidence that PSMA PET accurately detects early recurrence and can guide salvage treatment options), right through to therapeutic uses of PSMA. In particular, he discussed the use of Lutetium-177 (177Lu)-PSMA-617 (LuPSMA) as a treatment in men with CRPC, presenting the findings of their recent Lancet Oncology study led by Michael Hoffman. Although still in the early stages, the data here look very exciting and hale a potential revolution in the way we manage high risk and advanced prostate cancer. How easy is it to set up a PSMA imaging service in the UK? The next speaker was Professor Jamshed Bomanji from the Institute of Nuclear Medicine, University College London (UCL), who presented an eye-opening talk that focussed on the challenges of setting up a PSMA-PET service within an NHS Trust in England. The effort he and his team put into developing their service in the face of significant practical resistance has been frankly heroic. Pleasingly, these efforts have been worthwhile as the team from UCL have clearly demonstrated that PSMA PET/CT has had a significant impact on the management of men with biochemical recurrence with the team contributing to guidelines drawn up to standardise use. It is very disappointing that NHS England saw fit to withdraw funding for the gallium tracer required for PSMA-PET scanning in August 2018. This does seem rather short-sighted given the clear evidence favouring the utility of PSMA-PET over other modalities such as FDG or Choline-PET, both of which are still funded. All in all, Professor Bomanji’s talk was a sobering examination of the challenges we face in our commitment to delivering cutting edge, world-class cancer services whilst at the same time considering the financial implications to the NHS of providing such high-end services. Associate Professor Bart Cornelissen along with Dr Rebekka Hueting who runs PROx (PET Radiopharmacy Oxford) presented their intentions for 68Ga-PSMA-PET imaging in Oxford, and the University’s imminent plan to install a cyclotron on site that will allow PET imaging with locally generated radioisotopes to increase dose efficiency – the half-life of gallium means that any requirement to transport the dose reduces the number of scans that can be performed at destination. This is particularly important given some recent negative press coverage. Surgery for men with metastases? Prasanna Sooriakumaran (PS) of University College London Hospital (UCLH) Department of Urology discussed the TRoMbone Study, a UK feasibility RCT that he has set up aimed at testing radical prostatectomy in men with oligometastatic prostate cancer. This interesting study promises to tease out the possible benefits of radical prostatectomy to men with low-volume metastatic disease. There are examples in other cancers whereby aggressive management of the primary tumour confers survival benefits in patients with low-burden metastatic disease and it is not unreasonable to think this may be the case for prostate cancer. Recruitment to such trials of ‘oligometastatic’ disease is contingent upon definitions of ‘low-volume’ disease, and accurate detection of such disease. PSMA-PET imaging is positively helping with this paradigm with its far superior sensitivity to conventional cross-sectional staging. Pim van Leeuwen of the Netherlands Cancer Institute delivered an engaging talk entitled “PSMA intra-operative enhancement of lymph node dissection”, accompanied by some excellent video demonstrations. Next up were Boris Vojnovic and Alastair Lamb of Oxford who discussed fluorescence optics and intra-operative use of PSMA as part of the on-going ProMOTE study (Prostate Molecular Targeting to Enhance Surgery). We wish the investigators good luck as the study progresses and we eagerly look forward to seeing the data as they emerge. 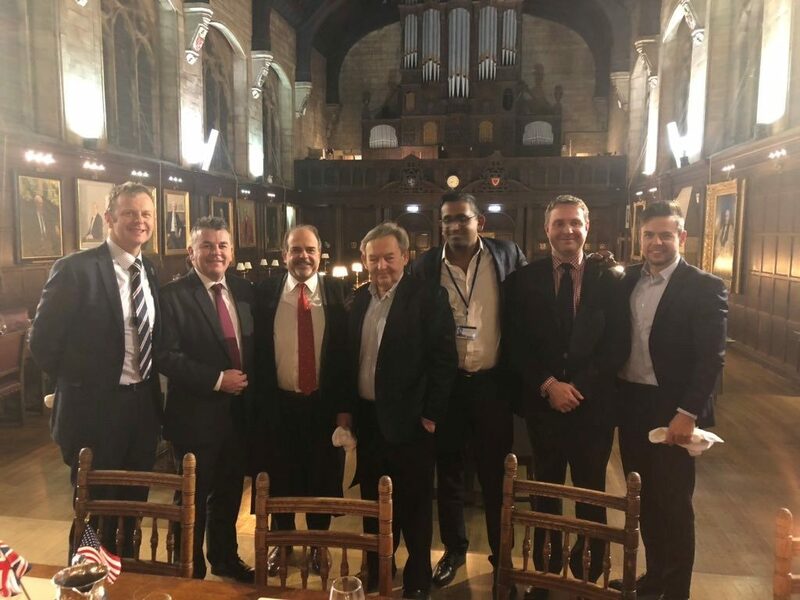 In summary, the Oxford PSMA symposium 2018 brought together clinicians from around the globe who share a common enthusiasm for PSMA-related technologies that promise to revolutionise prostate cancer management in the near future. 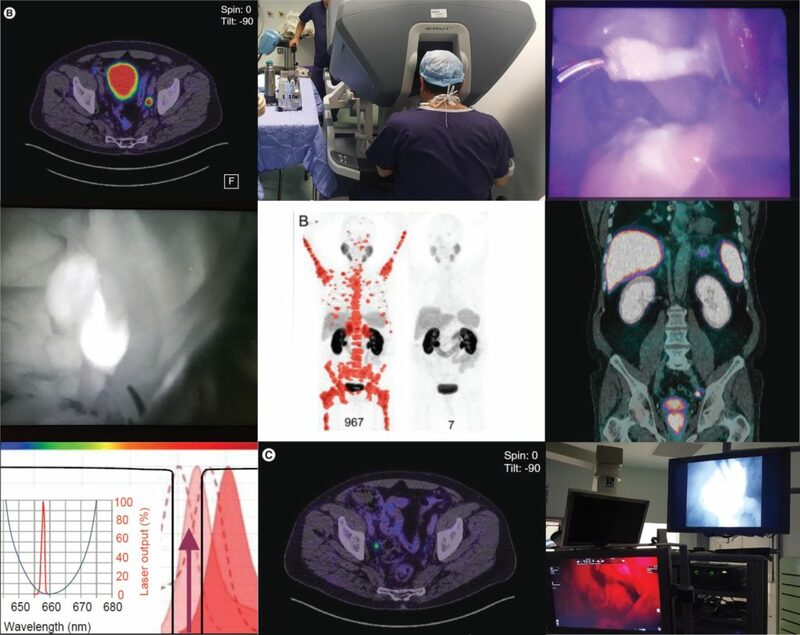 Common themes included the use of PSMA in staging, therapeutics and intra-operative guidance. The message from our overseas guests, both European and Antipodean, was that PSMA-based imaging is increasingly part of routine care in the management of prostate cancer and definite benefits are seen, particularly in regard to accurate staging and identification of very early recurrence. While we in the UK are a little behind the curve when it comes to adoption of this increasingly established technology, we are hopeful of increasing the use of this technology in the NHS in order to rationalise appropriate treatment, reduce futile expenditure and ensure gold-standard management of men with prostate cancer. Alastair Lamb is a Cancer Research UK Clinician Scientist, Senior Fellow in Robotic Surgery & Honorary Consultant Urologist at the Nuffield Department of Surgery, University of Oxford, and Oxford University Hospitals NHS Foundation Trust. Alastair is interested in delivering excellent and timely prostate cancer care, focussing on state-of-the-art diagnostics with multiparametric MRI and targeted transperineal biopsies, followed by robotic-radical prostatectomy (RARP) or active surveillance. He also has an interest in novel molecular imaging techniques such as 68Ga-PSMA PET/CT and their use in disease stratification and selection of patients for surgery. Alastair is a local investigator for the ProMOTE, PART and TRoMbone studies.